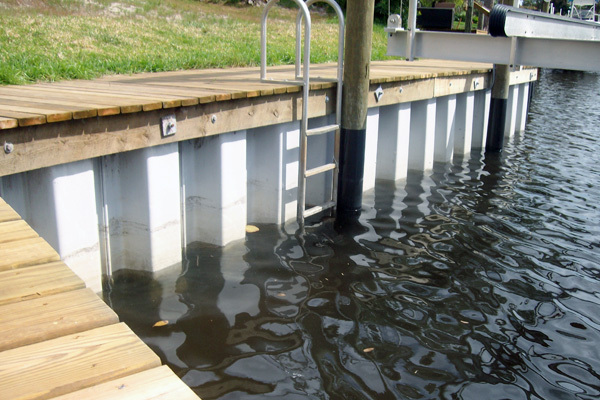 Naples Dock & Marine Services offers various seawalls. The two most popular Seawall Installations are: Vinyl Composite with Concrete Cap and Concrete with Concrete Cap here in Florida. Our team of architects, engineers, and Seawall installers know how to get the job done! We provide a FREE evaluation of your site. If a new seawall is necessary we recommend a licensed engineer to draw up the necessary plans for a new wall. Based on the engineers findings and plan, Naples Dock & Marine Services can now move forward with an accurate estimate for you. Sign a written contract and now we can start the permit process. Work can begin once all permits are in hand. Call for a FREE estimate for your seawall project.